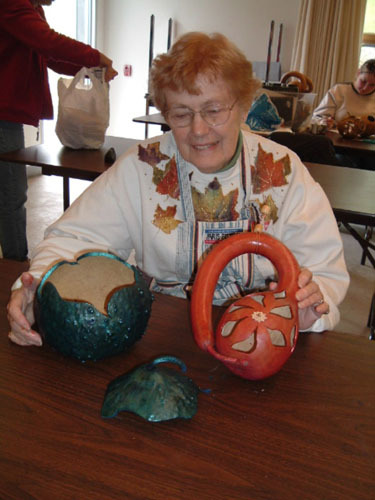 Marilyn created a birdhouse from a dipper gourd with pyrography on it and a decorative copper wreath around the opening. 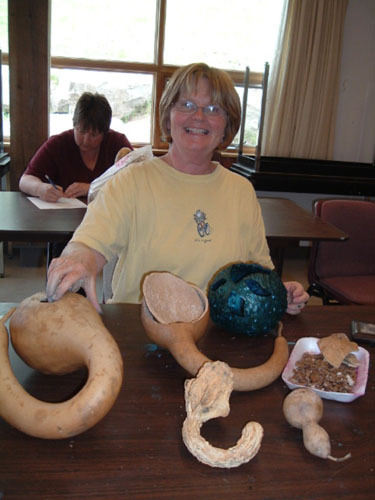 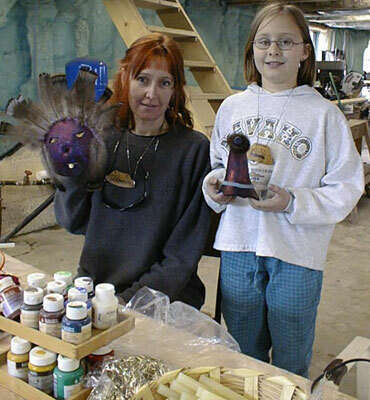 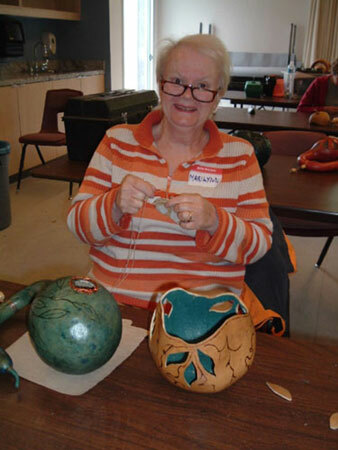 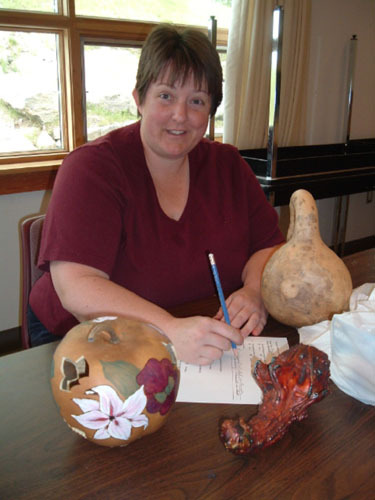 And she also did the beautiful natural coloured gourd vase with fancy cut outs and bright blue inside. 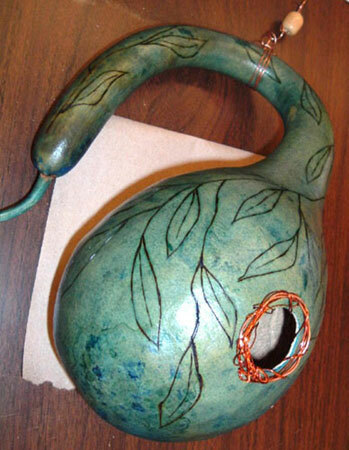 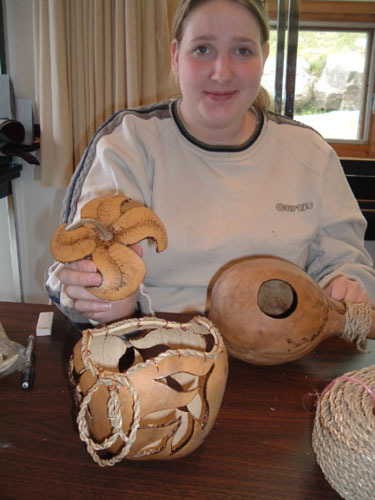 Works in progress with long neck dipper gourds and apple gourds.Adding a seagrass binding as a decorative element. 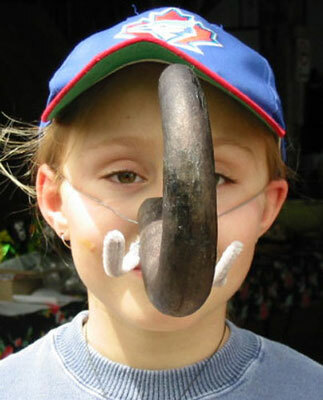 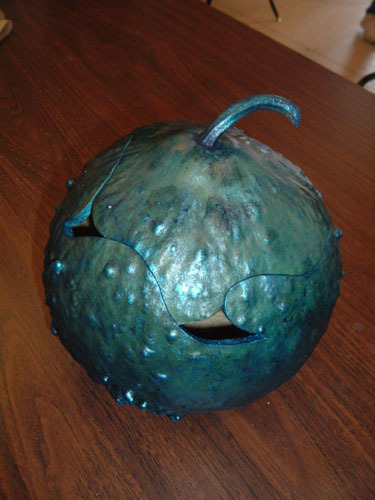 A round WARTY GOURD with cut out decorative lid feature. 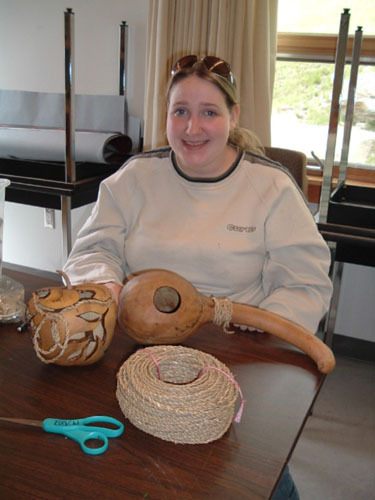 And a long curved handle dipper gourd with fancy cut outs.